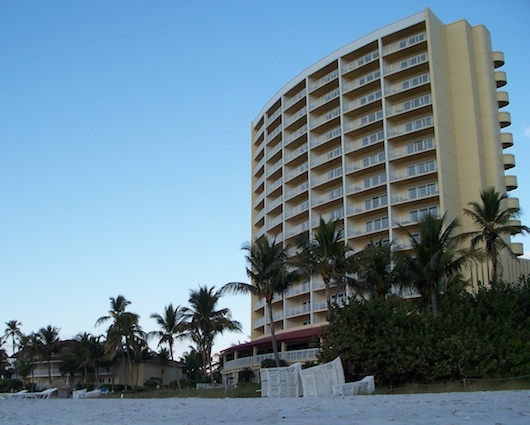 La Playa Beach and Golf Resort is in Naples Florida right on Vanderbilt Beach. The resort has a total of 189 rooms. One hundred and forty one of of which are beach front. The entire property has a great atmosphere and the staff members are friendly and ready to help you. If you want to play golf their course is about 3 miles away. A shuttle can take you there. If you're a Naples resident any part of the year you can enjoy many of the benefits of this resort by becoming a club member.